What Does 2 Corinthians 2:14 Mean? 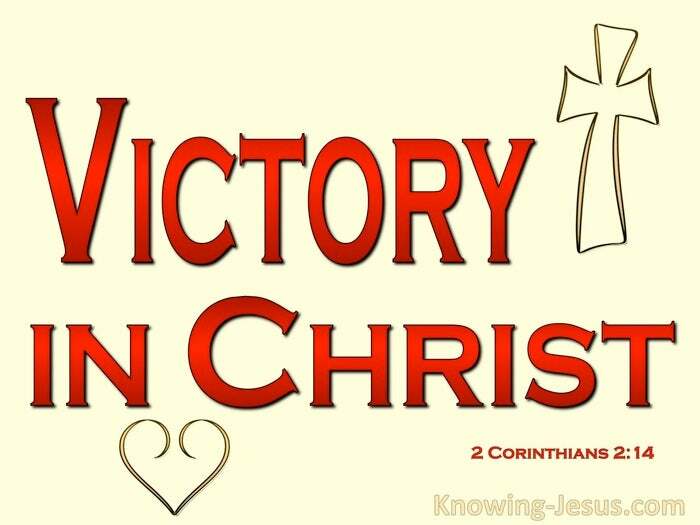 As Christians we are the most blessed people on earth, for in Christ we have become victorious in life - and through Him we have been declared triumphant over death. We are identified with His Person, His perfections, His glorious victories and His resurrected life - and it is all by faith. 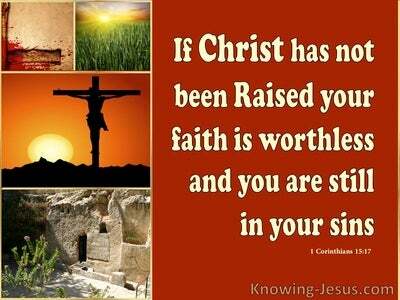 Because we are in Christ by faith, we have passed from death to life-eternal, and are one with Him. 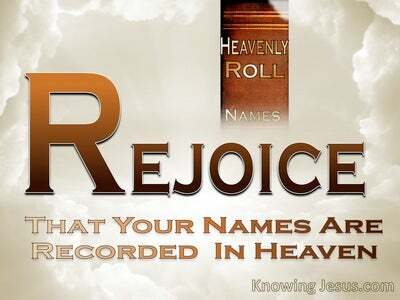 Because we have been born-again we are accepted forever by the Father, because of our union with Christ Jesus our Lord. In this second letter to the Corinthians, we discover Paul encompassed by the sort of difficult circumstances.. that would cause most people to fall apart. 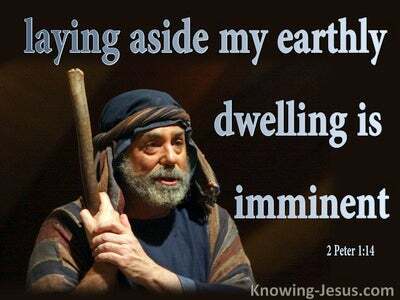 Paul tells his readers that he was pressed out of measure, and attacked by the enemy of our souls.. insomuch that they despaired even of life! They were tossed about by every possible difficulty and danger, but Paul learned a valuable lesson: that he must not trust in his own abilities but only in God. Paul discovered that by prayer and supplication, with thanksgiving, God's promises are sure, His word is true, His grace is sufficient and all things work together for good, to those that love the Lord their God, with all their heart and are fitting into His plans and purposes. Despite all the difficulties and dangers that encompassed his life, Paul was able to i) experience in his life... ii) declare with his lips ...iii) and write in this letter to his Christian brothers and sisters in Corinth: but thanks be to God, Who always leads us in triumph in Christ, and manifests through us the sweet aroma of the knowledge of Him in every place. 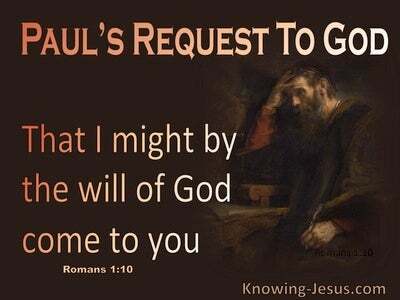 Paul's bold confession of God gave witness of a life that has died to self and lives only for Christ. It demonstrated Paul to be a man who followed in the footsteps of the Lord Jesus Himself, by presenting his life as a living sacrifice.. (a burnt offering), that is holy and acceptable unto God. There were a number of different sacrifices and offerings that Israel presented to God in old testament times. Perhaps the one that most typified the life of Christ and the life of the apostle Paul, was that of the Burnt Offering, which was a freewill offering - given to the Lord out of love and not out of duty. The Burnt Offering was a freewill offering to Lord. It was something of value, that is given to God freely and with great joy. It is a sacrificial offering that shows a deep loving respect for the Lord and a passion to carry out His will, no matter what the cost. It was not an offering that was part of any legal ritual, or one that had been designed by God to cover sin or satisfy His justice - like the Sin offering or the Passover Lamb. The Burnt Offering was a gift.. freely given, joyfully presented and lovingly offered to God, which becomes a sweet smelling savour to the Lord. Paul explains that when we are able to continue to trust God, even during those tough times, when we are pressed out of measure, tossed about by every possible difficulty and danger and attacked by the enemy of our souls.. then our life becomes a sweet aroma to the Lord, such that the spreading of the glorious gospel of Christ becomes the wonderful consequence of a life consecrated to God. May our lives become a living sacrifice.. holy to the Lord and honouring to His name. 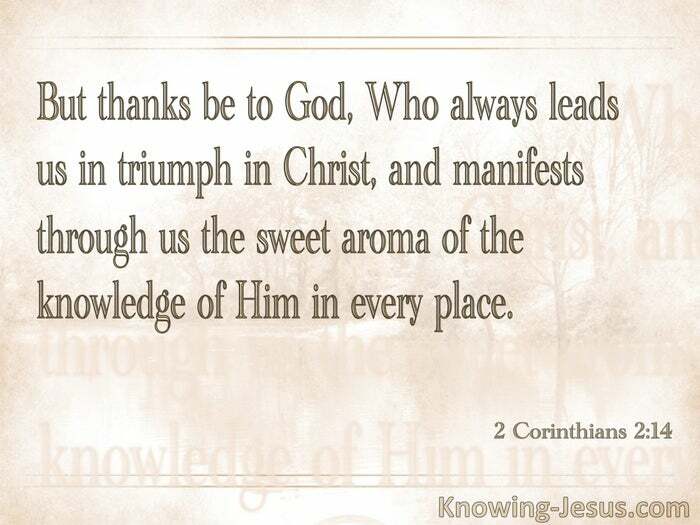 When we are encompassed by many sorts of dangers and difficult circumstances, may we be willing and able to give thanks to our heavenly Father in all things - knowing that He always leads us in triumph in Christ, and manifests through us a sweet-smelling aroma.. of the knowledge of Him in every place.